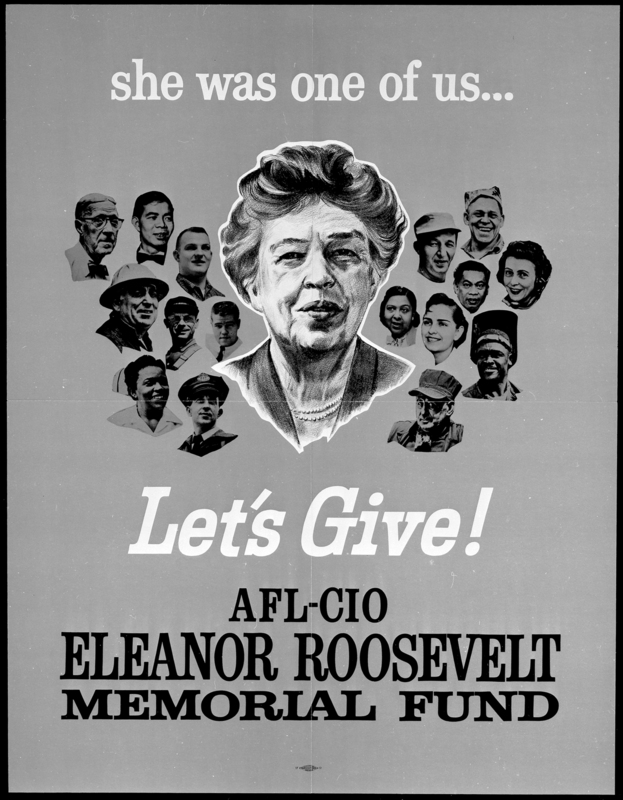 Eleanor Roosevelt Addresses the AFL-CIO Merger Convention in 1955. You can download this video from Vimeo. You can also download a zipped file of all these images (without captions). 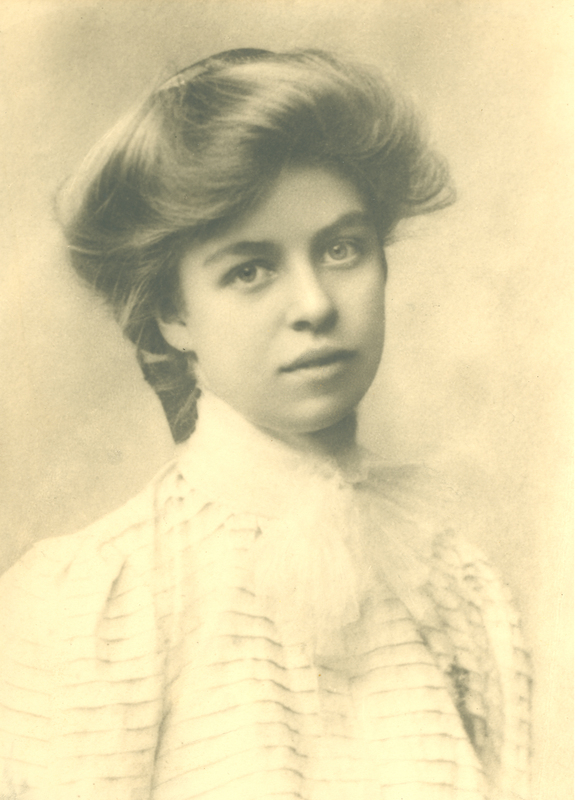 1898, Eleanor Roosevelt, just 14 years old. Franklin D. Roosevelt Presidential Library and Museum.Eleanor Roosevelt, just 14 years old, 1898. Franklin D. Roosevelt Presidential Library and Museum. 1908 (ca. 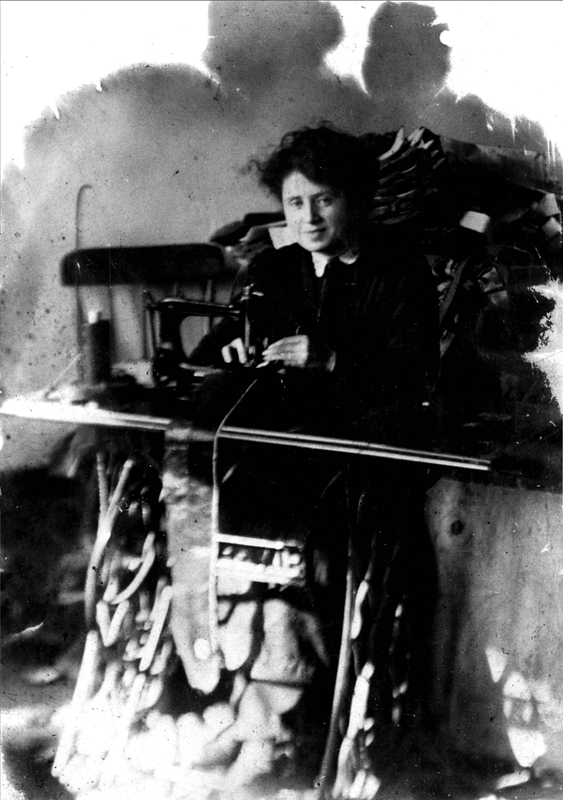 ), Rose Schneiderman, a capmaker in her twenties. UNITE HERE Archives, Kheel Center, Cornell University. 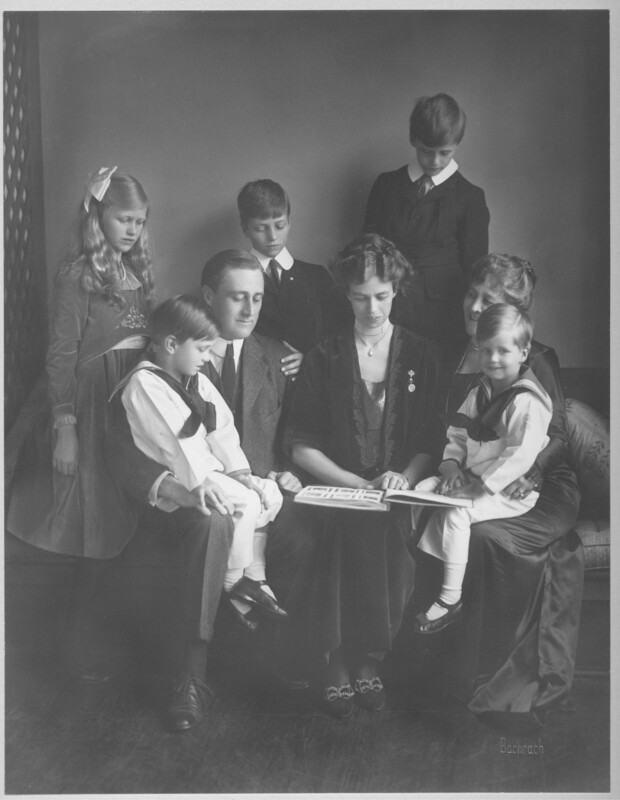 1919, The Roosevelt family, with children Anna, James, Elliott, Franklin Jr., John and FDR’s mother Sara. Franklin D. Roosevelt Presidential Library and Museum. 1933, ER sews in the first NRA Blue Eagle Label. UNITE HERE Archives, Kheel Center, Cornell University. ER sews in the first NRA Blue Eagle Label, 1933. UNITE HERE Archives, Kheel Center, Cornell University. 1938, Pins and Needles. 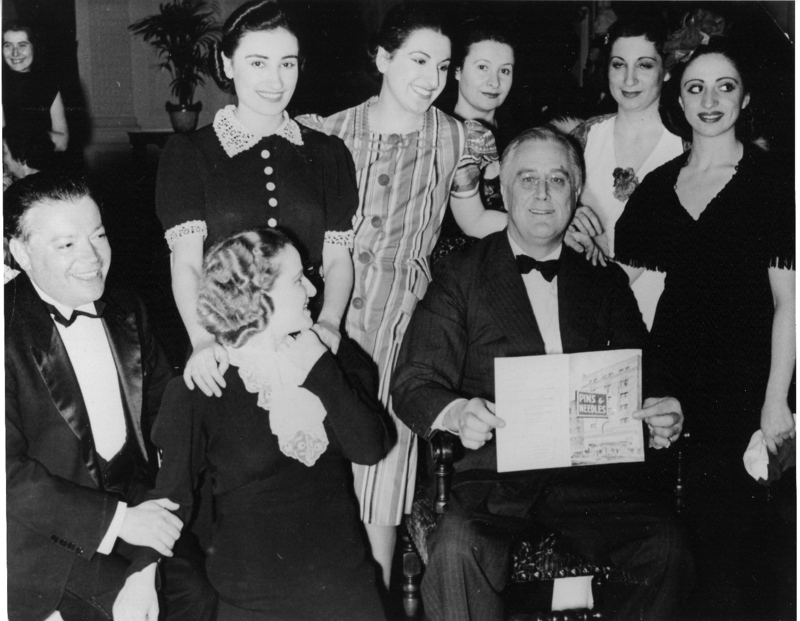 Broadway play cast with FDR and D. Dubinsky, president, International Ladies’ Garment Workers’ Union. 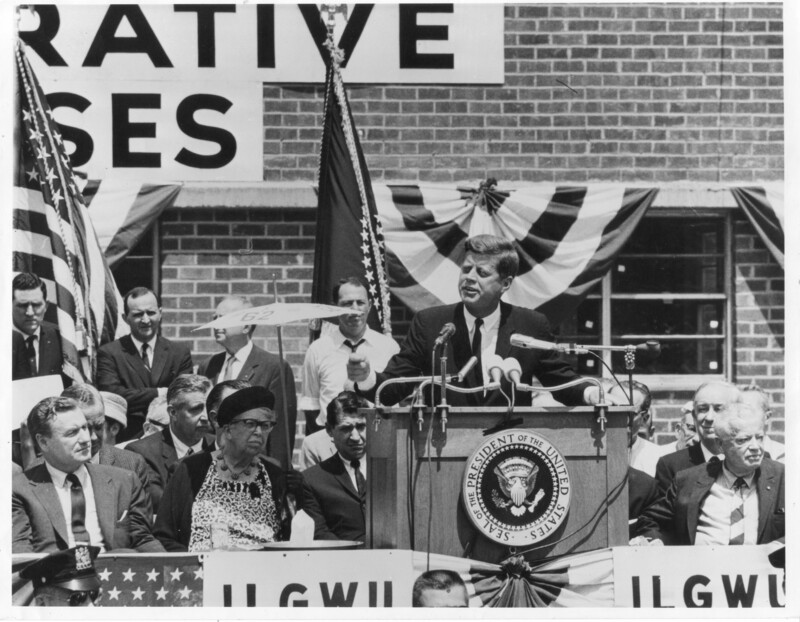 H. Rubenstein, K. Joseph photographers, UNITE HERE Archives, Kheel Center, Cornell University. 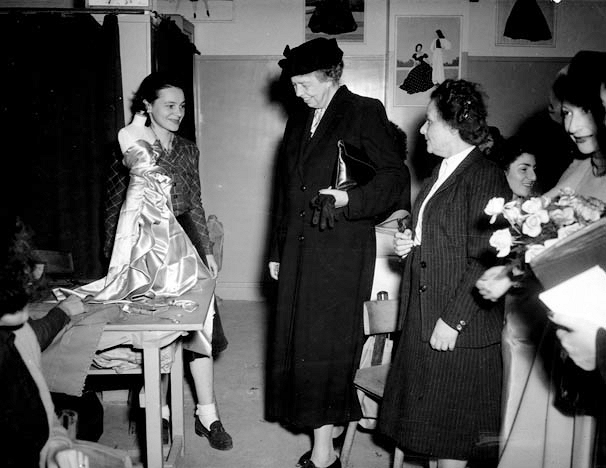 1944, Amalgamated Clothing Workers of America Convention. 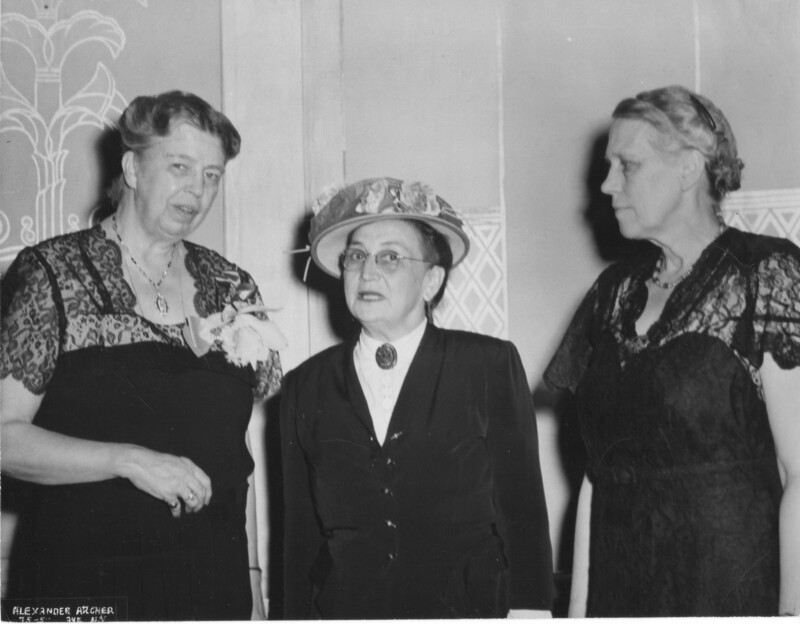 ER with D. Bellanca, vice president, S. Hillman president, 1944. UNITE HERE Archives, Kheel Center, Cornell University. 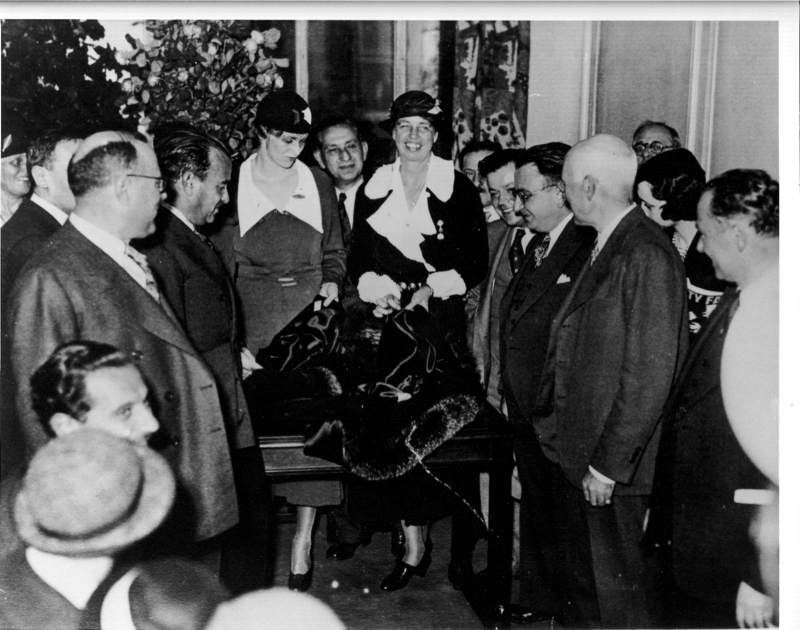 1944, CIO Canteen Opening. 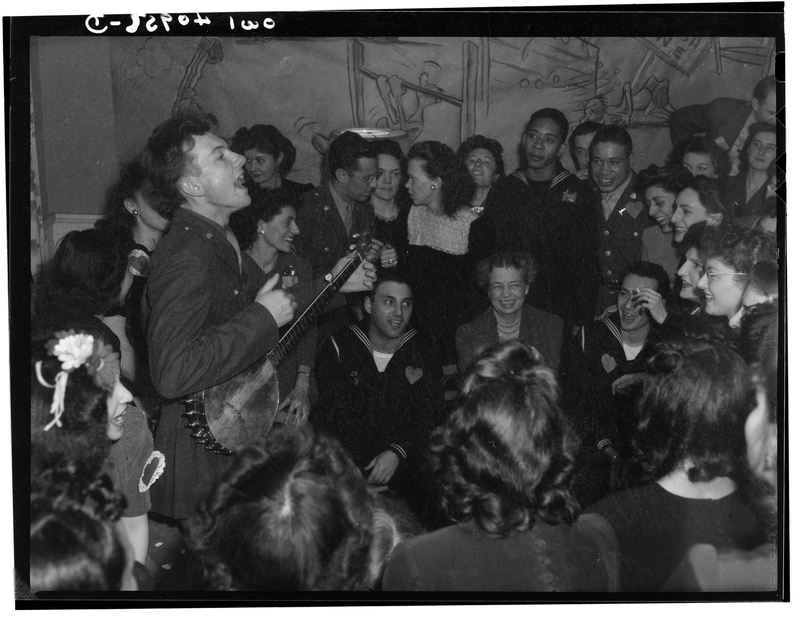 ER with Pete Seeger, 1944. Joseph A. Horne photographer, Library of Congress. 1945, International labor exchange. 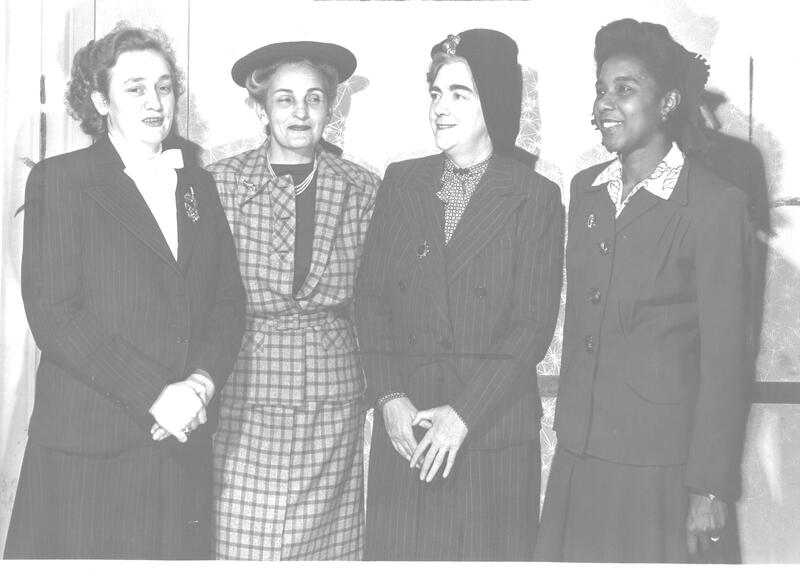 M. Springer (far right), ILGWU-AFL, with (left to right) G. Blackett (UAW-CIO), A. Murcovich (American Federation of Hosiery Workers-CIO), and J.O’Conner Parker (IBEW-AFL),The George Meany Memorial Archives/RG 96-001, 21/155. 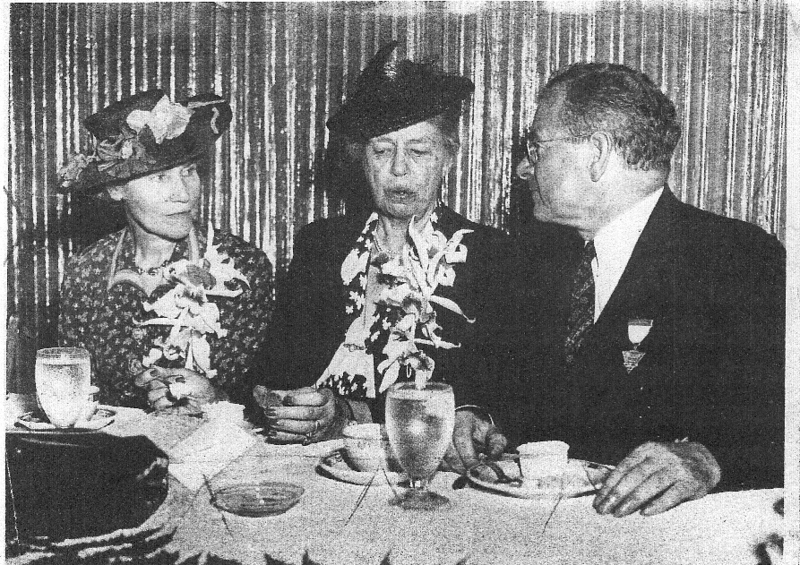 1948, Hudson Shore Labor School Dinner. ER with B. Hillman, vice president, ACWA, H.W. Smith, school director. A. Archer photographer, Franklin D. Roosevelt Presidential Library and Museum. 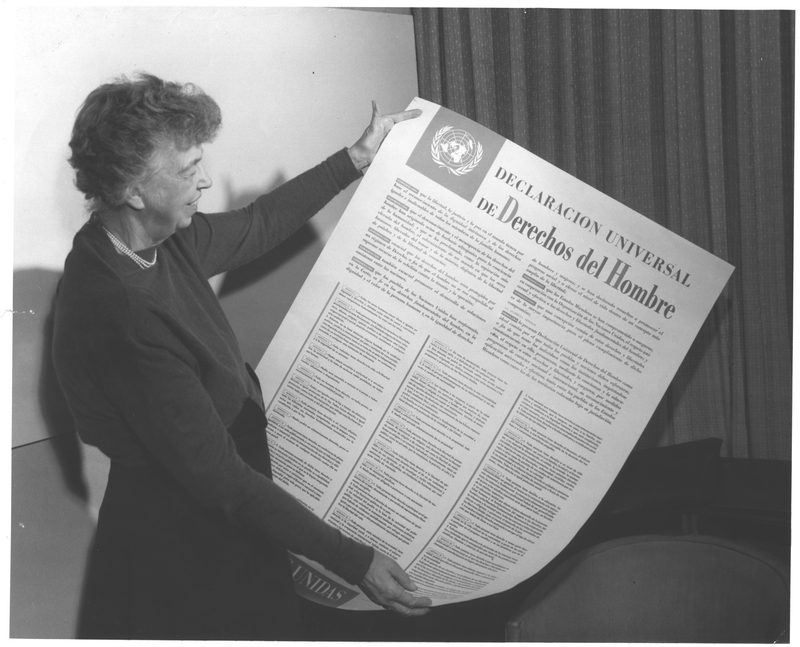 1949, The Universal Declaration of Human Rights. United Nations: Franklin D. Roosevelt Presidential Library and Museum. 1954, CIO Wives. 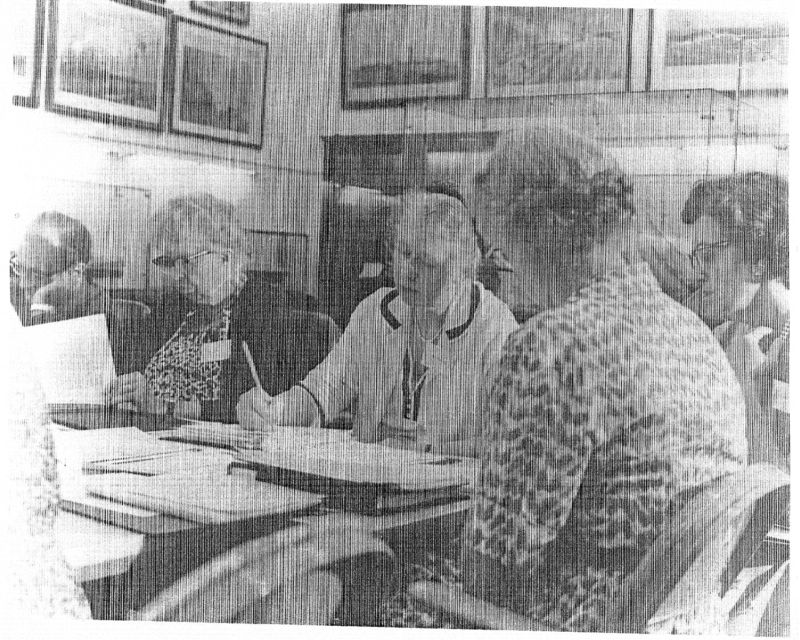 ER with M. Reuther (UAW), B. Hillman (ACWA), M. Carey (IUE). UNITE HERE Archives, Kheel Center, Cornell University. 1958, ORT Union Supported Training Program, Paris. UNITE HERE Archives, Kheel Center, Cornell University. 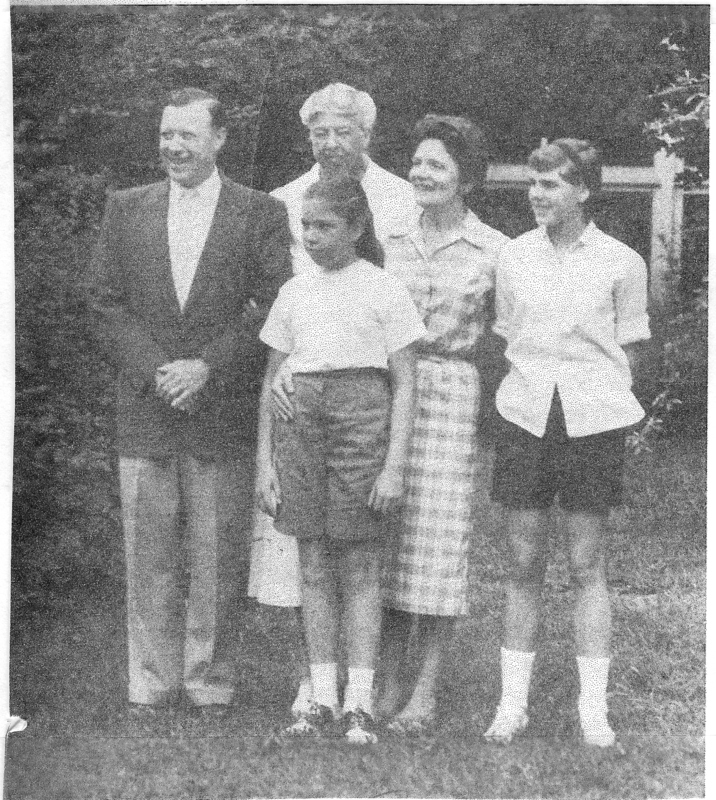 1958, The Reuther Family at Val-Kill. 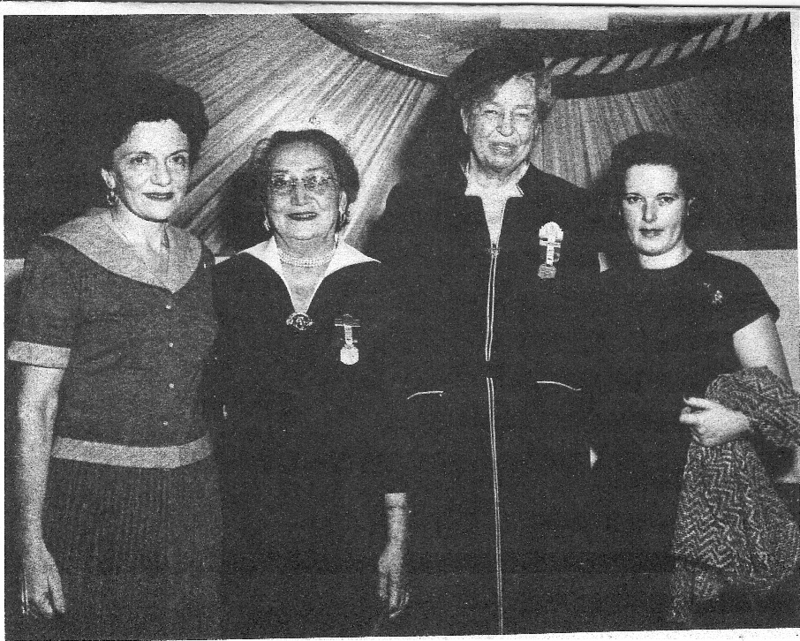 ER with W. Reuther, president UAW, and his wife May, daughters Linda and Lisa. Walter P. Reuther Library, Wayne State University. 1959, National Farm Labor Advisory Committee meeting. 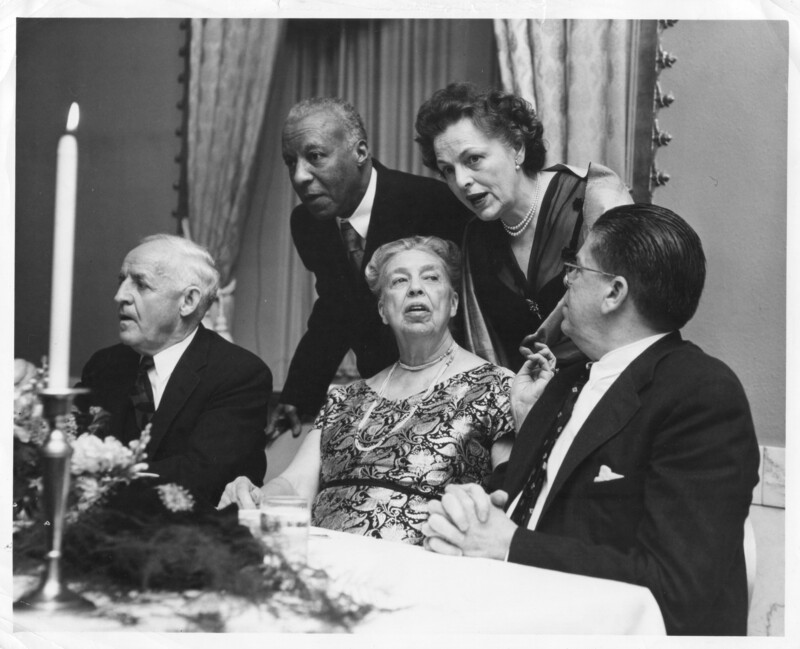 ER with (left to right) F. Graham, president, University of North Carolina; A. P. Randolph, president, Brotherhood of Sleeping Car Porters; former congresswoman H. G. Douglas; Secretary of Labor J. P. Mitchell. Nate Fine photographer; Franklin D. Roosevelt Presidential Library and Museum. 1962, President’s Commission on the Status of Women, Hyde Park. ER with E. Peterson (ACWA), executive director, and K. Ellickson (AFL-CIO), secretary . Franklin D. Roosevelt Presidential Library and Museum.